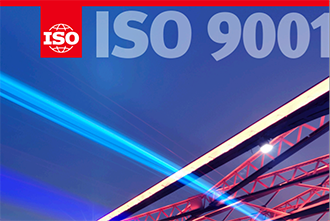 ISO 9001:2015 Certification on the Horizon! Yes, that’s right, we are hopefully going to achieve the heady heights of ISO certification this year, in order to ensure we are doing the best we can for our customers and our staff! The Boss, Steven, has decided that we are more than worth it, so, we thought it would be nice to fill you in on some details about the certification and what that will mean in practice. International Standards Organisation or ISO certification as it is better known, comes in many shapes and sizes and there are some accreditations which are suitable for some businesses and not others. ISO, based in Geneva, is the main standards organisations recognised worldwide and has general consultative status with the United Nations Economic and Social Council. ISO 9001: This is a Quality Management System and one of the most recognised and popular management systems internationally. It contains minimum standards for quality and customer satisfaction and ensures customers are being treated correctly and know what they should be able to expect from an ISO 9001 accredited firm. ISO 14001: This is an Environmental Management standard and is one of the more recent additions to the accreditation framework. Companies are now very much more aware of their environmental impact and ISO 14001 is a benchmark of such awareness and implementation of environmental management. SA 8000: This is a Social Responsibility certification, which is quite stringent and wide reaching. It evaluates the company on various different aspects including child and forced labour, health and safety, freedom of association, discrimination, disciplinary practices, working hours and remuneration. Companies that achieve this standard should adhere to all applicable local and international laws in relation to the above categories. OHSAS 18001: This is an Occupational Safety certification that is based on British Standards. It ensures that the correct occupational and staff safety guidelines are being followed, allowing staff and customers to work and do business in a safe workplace. It aims to aid legal compliance and increase overall performance of health and safety issues throughout the company, not just on the factory floor. UCC: As a third-party certification body, Universal Certification Centre Co., Ltd. (UCC for short) boasts as one of the main drafting units for GB/T19001: 2000/2008 standard. With the accreditation by CNAS(QMS/EMS/OHSMS/HACCP/ FSMS/ TL9000/ EnMS/ QJ), UKAS(QMS) , and membership with the International Mutual Recognition System, certificates issued by UCC are mutually recognized in more than 30 countries such as the United States, Germany, France, Britain, Canada, Japan, Australia, Korea and so on. At NICERapid, we are committed to ensuring that we are at the forefront of both technological and environmental change and, as a consequence of this, we will not be resting on our laurels. ISO 9001:2015 is just the beginning and we hope to go from strength to strength from the start of our certification journey. 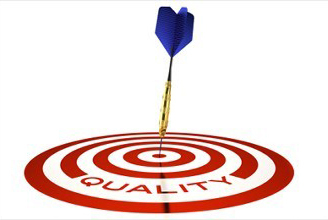 We already have a stringent quality control management plan in place and we are confident that we can meet the customer service standards that you deserve and that the ISO desire. We would welcome your comments and suggestions on how we can improve any aspect of our service or manufacturing process, as well as any individual feedback on which certifications are important to you and your customers. We want to lead by example and hope that by listening to your views and becoming internationally certified in relation to quality and customer service management we have shown us to be different from our competitors.